IS-710 for Marine grade & IS-4990-1993 for shuttering plywood do not recommend to use wheat flour but for making the glue thicker and for getting required surface tackiness, wheat flours are being normally used in huge quantity which on the one side is a food material for human and on the other side excess amount leads prone to micro –organism. Xtrabond- PP-702 is used comparatively in very less quantity, makes the glue thicker as per the end use requirement and provides an excellent adhesive tackiness to help the panel moving ease on the auto loader platform. Mridul Chemicals Pvt. Ltd. is an ISO 9001:2008 Certified Comapny and the first to achieve IPRITI Quality Standard Certificate by Indian Government for its Xtrabond Range of Plywood Extender. 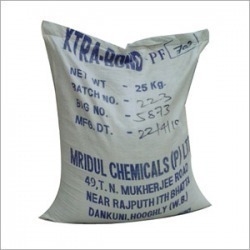 Mridul Chemicals is one of the leading "Wood Adhesive Extender" manufacturing and distribution group in South East Asia with headquarter in West Bengal, servicing more than 10 countries in and around Asia. With the strong support of sophisticated processing unit along with a team of expert professionals, Mridul Chemical Pvt. Ltd. has been able to acquire high recognition across the world. Since our inception in the year 2005, we have been upgrading our facilities, & chemicals in order to remain ahead from our competitors. As a well-known manufacturer, exporter and supplier, we are engaged in offering best quality plywood additive extenders to our esteemed clients. Owing to its purity, effectiveness, high accurate value, and many other features, our assortment is appreciated by clients spread across many parts of the world. We have a dedicated team of experts, which includes pharmacists, biotechnologist and others, who serve as the backbone of our organization. They work hard and give their best efforts toward our company in order to meet the client?s requirements with maximum efficiency. We have appointed the professionals on the basis of their experience, skills, sincerity and many more. Quality experts conduct regular inspections and document all the control procedures. They fulfill all responsibilities in various processes of manufacturing, filling, packing, storing and distributing, with perfection. As a company born and bred in India, Mridul Chemicals also understands the intricacies in doing business in the region?s most dynamic markets with strong ethnics. The market insight and regional connectivity have helped to drive the growth of the company. We aim to keep providing the highest quality, cost effective and high value adding products with efficient services of good environmental and safety standards. ​Mridul Chemicals believe that building lasting relationships with its customers and suppliers is an integral part of our business. With its extensive network of operations in Asia and neighboring, and emphasis on engaging and empowering her staff, Mridul chemicals presents exciting business opportunities for her suppliers, partners, customers and employees.